1. 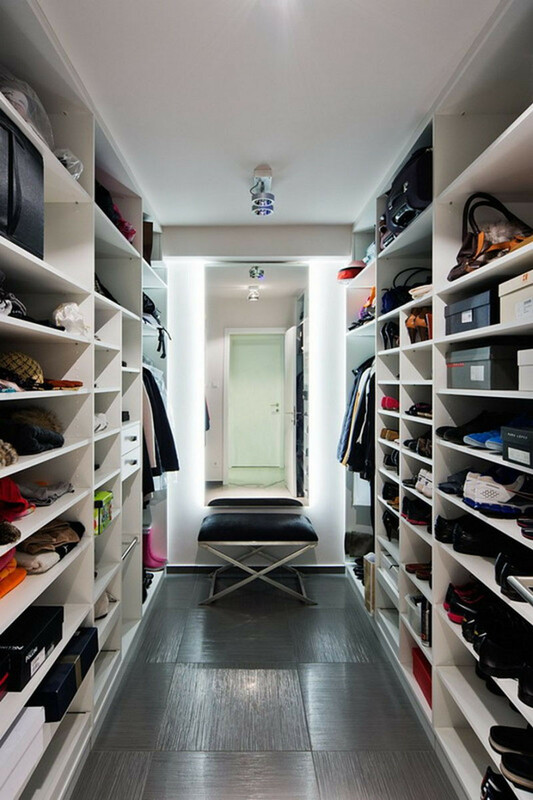 This closet that has floor-to-ceiling storage and cubbies for your bags. Designed by Studio Guilherme Torres. 2. 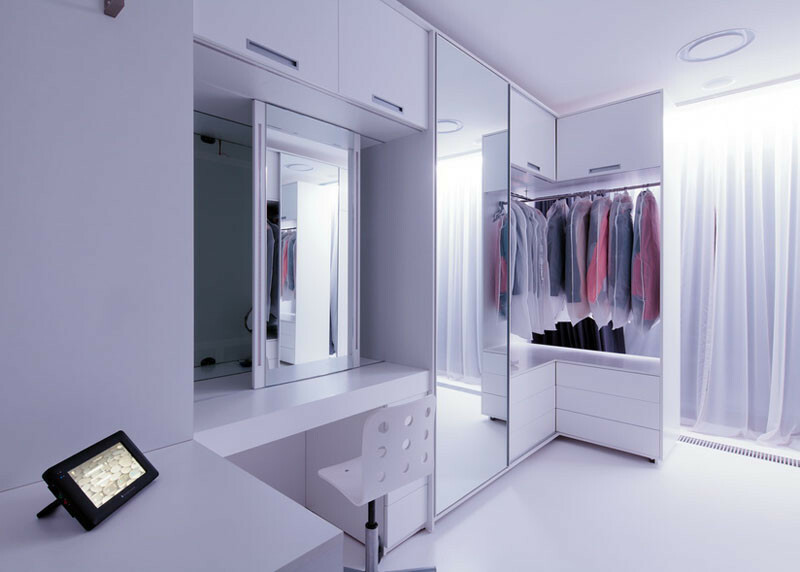 This walk-in closet has a large full-length mirror and a desk that’s perfect for doing hair and makeup. 3. This walk-in closet has semi-opaque curtains and an accessories island. 4. 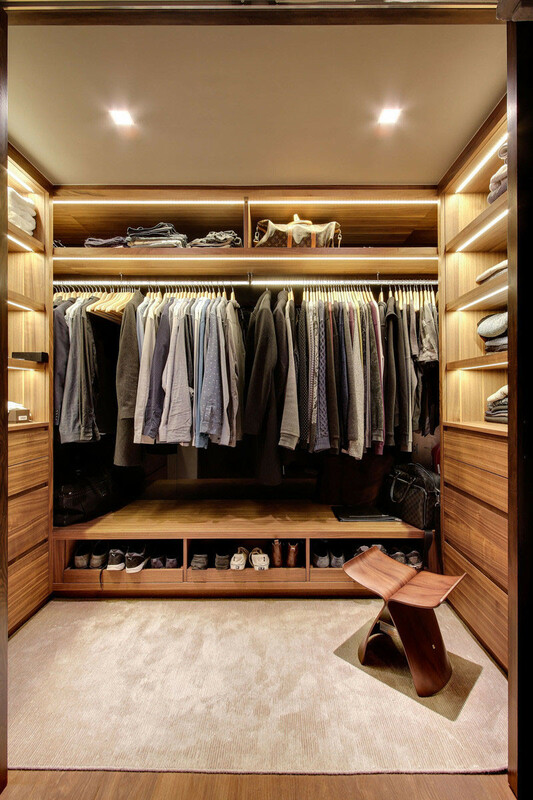 This walk-in closet has every shelf lit with its own strip of lighting. 5. This mostly gray walk-in closet has lots of shelves for displaying shoes and bags. Spotted in a house listed by The Agency. Photography by David Blank. 6. 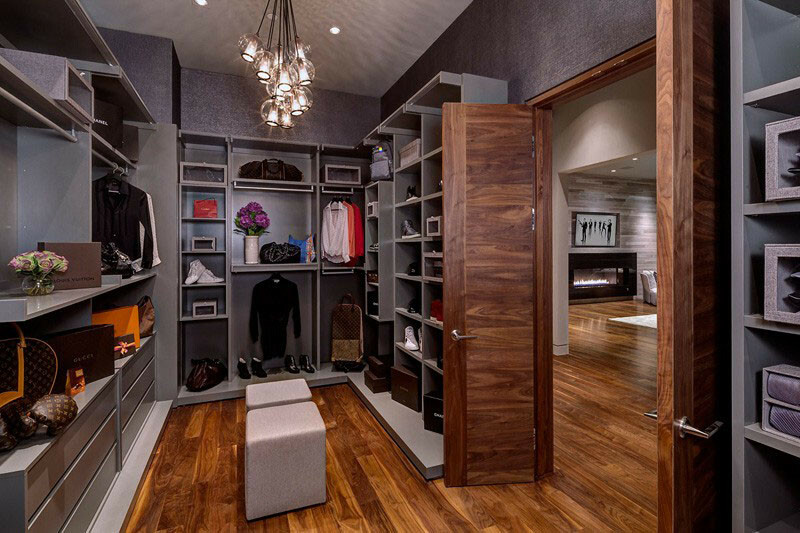 This walk-in closet has individual hooks within cubbies for perfectly displaying handbags, as well as lit shelving for displaying shoes like they’re pieces of art. Designed by Polsky Perlstein Architects. Photography by Bruce Damonte. 7. This very manly walk-in with lots of wood, has plenty of hanging space for shirts and jackets. Spotted in a house listed by The Agency. Photography by Nick Springett. 8. 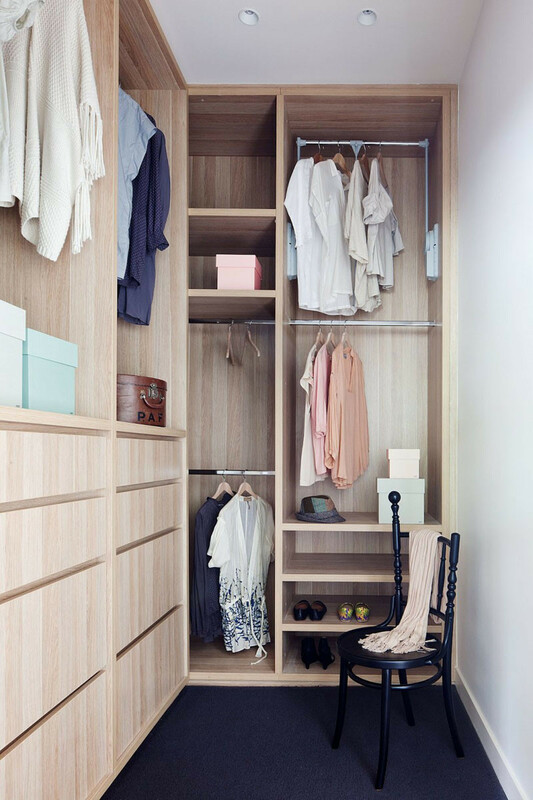 This smaller, light wood, walk-in closet has floor-to-ceiling mixed storage. Designed by Robson Rak Architects and Made by Cohen. Photography by Shannon McGrath. 9. 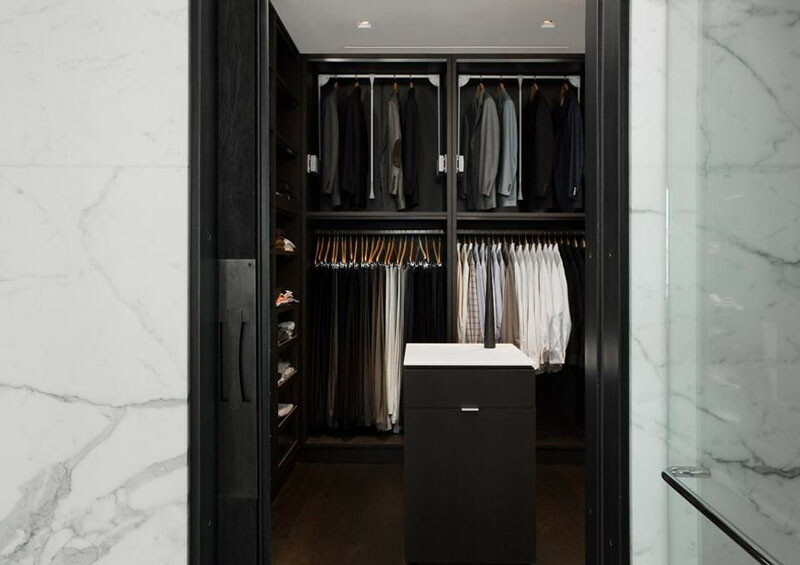 This walk-in closet has one side dedicated for folded clothes and shoes, with the other dedicated to shirts, jackets and pants. Designed by Victoria Design Group. Photography by Vince Klassen. 10. This white closet has a tiled floor, a large mirror, and is mostly shelves. Designed by Sandor Duzs and Architema. Photography by Tamás Bujnovszky. 11. This dark closet has upper storage dedicated to jackets, with the lower storage dedicated to pants and shirts. Designed by Cecconi Simone. Photography by Joy von Tiedemann Photography. 12. This large walk-in closet has plenty of space for all of your clothes, as well as an island just for accessories. Designed by SDH Studio. Photography by Robin Hill. 13. 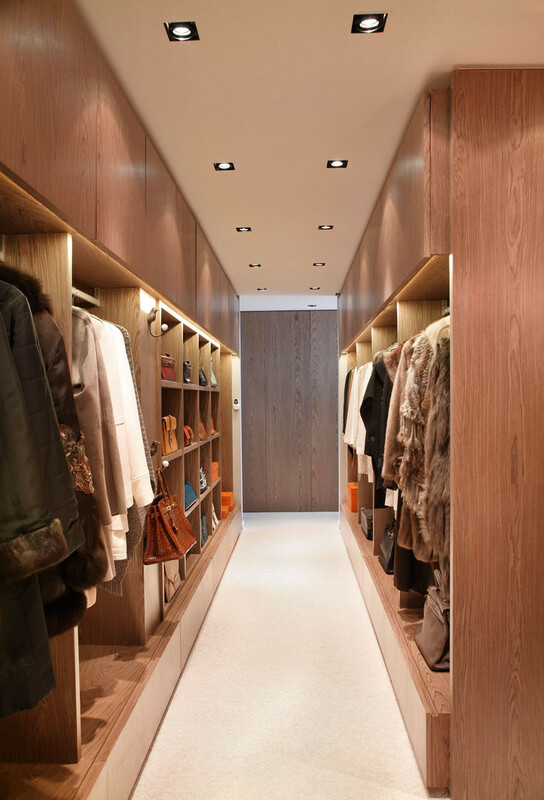 This long dark wood walk-in closet spreads the entire length of the wall. 14. This walk-in closet has angled display shelves for shoes, and a large stage mirror. Designed by Egue & Seta. Photography by Vicugo Foto and Mauricio Fuertes. 15. This walk-in closet could be mistaken for a fashion store, with its dark wood and two islands for storing and displaying accessories.